In 2011, multi-Grammy award winning producer, Quincy Jones, and Emirati social entrepreneur, Badr Jafar, co-produced Bokra, a charity single featuring 24 of the region’s top artists and the Grammy Award winning producer, RedOne. The single was the first of its kind in the region and went on to become one of the fastest selling Arab songs of all time. All of the proceeds raised by Bokra were donated to Abu Dhabi Music & Arts Foundation and Save the Children’s, HEART programme, which promotes healing and education through the arts. From executive producers Quincy Jones, Badr Jafar and Ali F. Mostafa comes Bokra the Film. 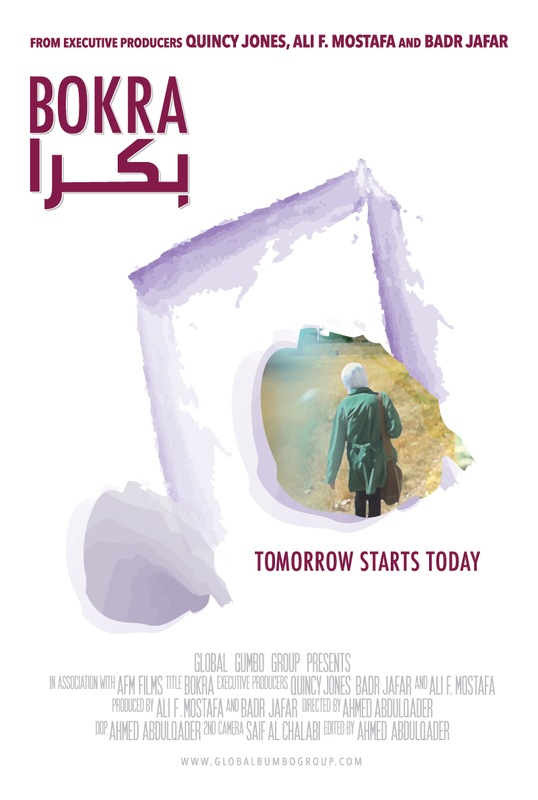 A documentary that follows the Bokra journey and demonstrates the impact that arts can have on millions of disadvantaged youth. It is a chance for viewers to meet some of the children and see how the arts are being used to change, enrich and better their lives. It is a calling for any and all to join this vision for a better tomorrow.